There are two separate mechanisms responsible for the safe operation of your residential garage door. The primary component is the actual door. The second one is the actual garage door opener. Although manual garage doors were used in past generations, it’s rare to see those same particular doors used in the modern era. 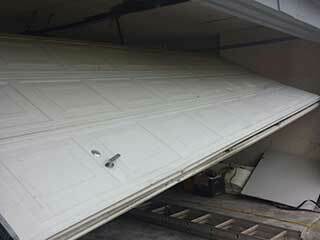 Both the garage door opener and the door itself are extremely reliable. But malfunctions will occur from time to time, and it’s important to know how to make simple repairs. Remember to never compromise your safety! If you suspect the issue is potentially dangerous or you do not know how to handle it, call for the help of a professional service provider. Make sure you carefully inspect the mounting brackets that connect to the walls and tracks. Tighten the screws at the brackets. Study tracks for crimps and dents. If the tracks appear to be severely damaged, call for their professional replacement. You wouldn't want to risk your door getting stuck on a badly installed track. Sometimes, all that is needed is proper lubrication. The parts that need lubrication are the moving parts of the door. Rust may hinder their proper function and the door's movement. Over-lubrication or lubrication of the wrong parts, the tracks, for example, could cause dirt accumulation and- you guessed it- might hinder the proper functioning of the door. Polish the tracks thoroughly by using household cleaner. This will get rid of hardened grease and any dirt particles. Wipe down the rollers and tracks until they are dry. Inspect the plates on swing-up doors where the spring is mounted. Ensure that each screw is tight. Screw and secure all loose screws. Get a longer screw of the same diameter if your screw hole is too large. Change out the shorter screw with the longer one. Experts at our company suggest not trying and tinkering any further with any of your garage door parts, without the proper knowledge. Too many garage DIY projects ended with injuries and could be completely avoided by calling a professional service to handle the various garage door issues.